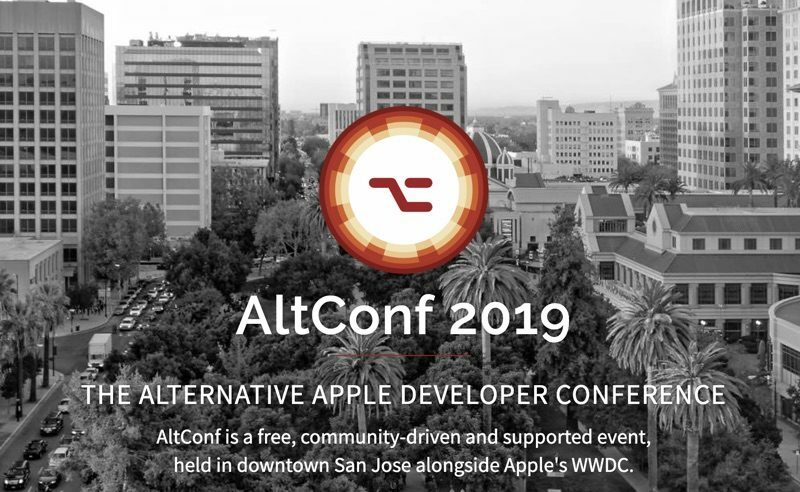 AltConf, a popular alternative conference that takes place at the same time as Apple's Worldwide Developers Conference, is returning in 2019. Developers unable to get a ticket to WWDC can instead attend AltConf to meet and mingle with others in the iOS and macOS communities. This year's AltConf event will take place at the Marriott San Jose, located close to the McEnery Conference Center where WWDC will be held. AltConf will kick off on Monday, June 3, and will last through Thursday, June 6. There will be speakers at AltConf, along with a community labs feature where attendees can get expert advice on their apps, discuss ideas, and more. On Monday, AltConf will kick off with viewings of Apple's keynote event and State of the Union for developers, with the venue able to accommodate more than 900 attendees. New to AltConf this year is an Apple-themed escape room that will require attendees to use their "Apple skills and knowledge" to save a doomed Apple keynote from failure. Tickets are priced at $5. AltConf is free to attend, but there is an option to become a Hero Supporter to show support for the event. For developers unable to make it to San Jose who still want to attend a developer-centric event, AltConf is hosting a number of satellite events in Europe that will be all-day conferences. AltConf satellite events will take place in London, Madrid, Paris, and Berlin, with each hosted and curated by local community volunteers. There will be speakers and events, which will be followed by a viewing of Apple's keynote event at night. Tickets to the satellite conference events will range in price from 29 to 50 pounds based on location, though keynote viewing in the evening will be available for free. This really feels like sitting at the back end of the cafeteria being envious of the cool kids table, trying to make each other feel better. Wow, this is convenient for me. Makes me wish I still loved Apple. Maybe I'll check it out anyway. So this is like the poor man's Apple WWDC? At least this was sincere and entertaining. Man, at first glance, that logo got me all "APHEX TWIN IS GOING TO BE THERE!? YES!!"